Question of the Week: – List every beauty item that’s in your purse at this very moment. 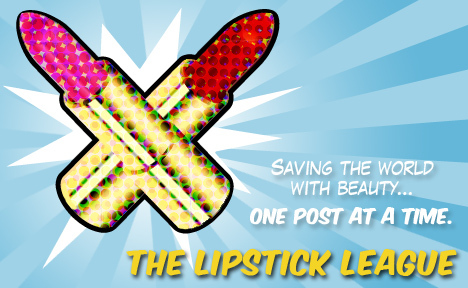 Answer: – I’ve only got a single lipstick in mine at the moment (bad beauty blogger), and it is…. Maybelline Color Sensational in 112, Ambre Rose! Beauty Junkies Unite – You tell us: Is the new China Glaze Summer Neons collection hot or not? Check out the review and swatches and let us know! Clumps of Mascara – has finally come across a mascara that wow-ed her so much that she gave it a 5 out of 5. And guess what? It’s a drugstore mascara! Gouldylox Reviews – has discovered THE facial you want if you want to look fabulous for an event or remind someone what a mistake it was to end the relationship. Plumped lips, raised brow, firmer jaw and no pain. I can see why Madonna travels with one of these beauties on tour. Krasey Beauty – wants you to win awesome prizes from Amazon.com Be sure to enter her giveaway! Lipglossiping – puts Bobbi Brown’s new long-wear eye pencils to the test against a well-known budget brand and concludes that you should save your pennies! Nouveau Cheap – Looking for a bold and daring magenta-purple lipstick to wear this summer? The answer might be as close as your nearest drugstore. Pink Sith – turns an otherwise boring review about a facial toner into a fun extravaganza by adding in Will Wheaton, Jazz Hands and Thor! Prime Beauty – harvests the fruits of the Lipstick Tree with Tarte’s Gifts From The Lipstick Tree Trio—the perfect summer pop of color! Phyrra – has great photo tips for beauty bloggers. Vampy Varnish – thinks if you like mini nail polishes, you might like the new Urban Decay Showboat Nail Kit for summer! we heart this – have a passion for fashion? Swing on over to we heart this; we’re looking for a new fashion writer. And psst…we pay in makeup! [br] What beauty items are you carrying in your handbag right now? I’m now wearing Goes and Goes by Mac. it’s a little muted than my regular lipstick, but i like it.